Circa 1873. 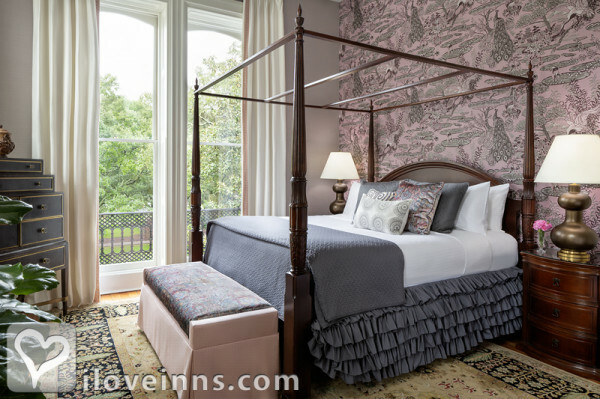 Poised on Lafayette Square Park, this circa 1873 Mid Victorian and Second Empire mansion is a place where dramatic history blends with southern hospitality and world-famous architecture. 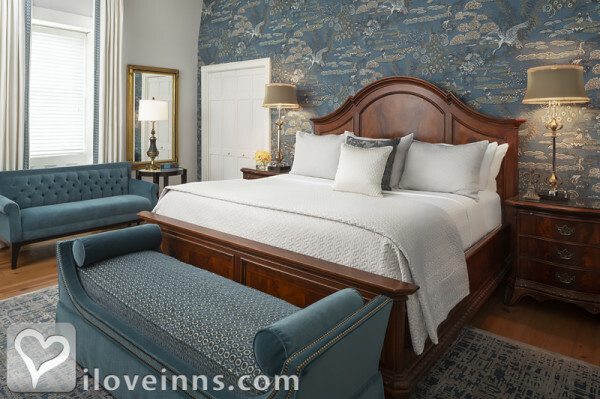 Since its highly publicized construction by businessman Samuel P. Hamilton, this 12,000 square foot inn has attracted the original Savannah 400 social elite as well as writers, photographers, discerning guests and families. Marble fireplaces and 11-foot arched doors accent Eastlake, Empire and Renaissance Revival antiques. The formal parlor features select furnishings from the Johnny Mercer estate, an original chandelier and burled walnut mantel and mirror. 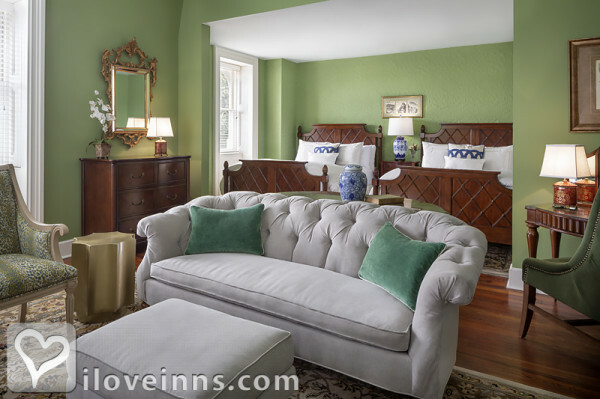 The mansion offers guest bedrooms and suites with sitting rooms. Bathrooms boast clawfoot tubs or Jacuzzi whirlpools. Carriage house accommodations include a casual parlor. 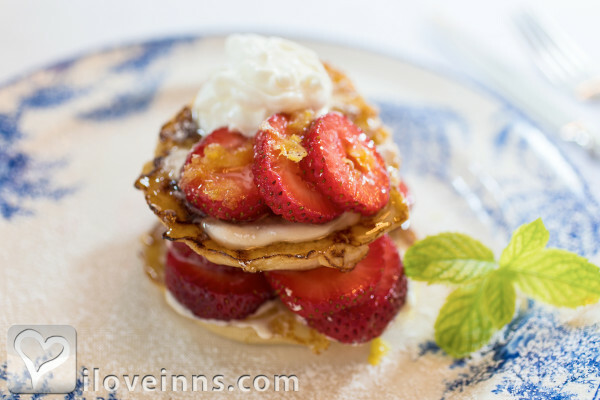 Enjoy "dessert begins with breakfast," evening hors d'oeuvres and wine. Payment Types Accepted Include American Express, Discover, Master Card, Personal Checks, Travelers Checks, Visa and Diners Club. This property has 17 total guest accommodations with private bath, 2 with fireplaces, 6 suites and 1 conference room. The types of beds available include King and Queen. 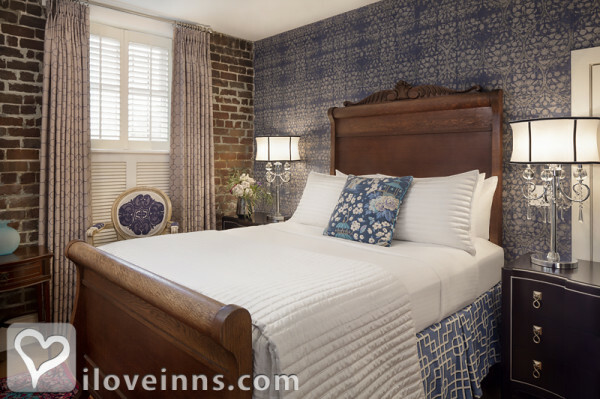 Located in Savannah's business hub, the Hamilton-Turner Inn is the ideal spot for a small business retreat and the savvy business traveler. We offer four pet friendly rooms. There is a $50.00 non-refundable charge per stay. Pet should be 25 pounds or under. Pet is not allowed in any common areas of the Inn, i.e. Parlor or Dining Room. Please disclose that a small pet will be staying, when making a reservation. Please call the hotel directly to see if a pet friendly room is available before booking. Choose from seating groups in the front garden and courtyard garden between the main house and carriage house. Courtyard garden has a patio and fountain. The gentle gurgle of the fountain is an ideal backdrop for an afternoon's relaxing read, sipping a glass of wine or enjoying a pre-breakfast coffee, al fresco. Two night minimum on weekends and peak seasons. The Inn is best suited for children over 12 years old. If reservation is canceled eight days, or more, prior to the arrival date there will be a $35 cancellation fee. If the cancellation is within seven days of your arrival, guest is responsible for the entire booking.The cancellation policy applies to early departures and no shows as well. 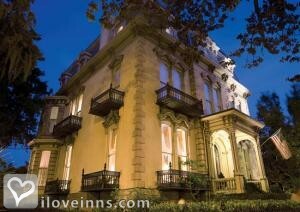 This high society mansion was the first building in Savannah to install electricity. It was saved from destruction by the Historic Savannah Foundation and saved from fire by its tin roof. Hamilton-Turner Inn is a 2016 Travelers' Choice winner! This award is based on the reviews and opinions of our global travel community, and is the highest honor given by TripAdvisor. Garibaldi's, Olde Pink House, a.lure,Firefly Cafe., Alligator Soul, Vic's, The Grey, Noble Fare , Public, Local 11ten, Sapphire Grill, . 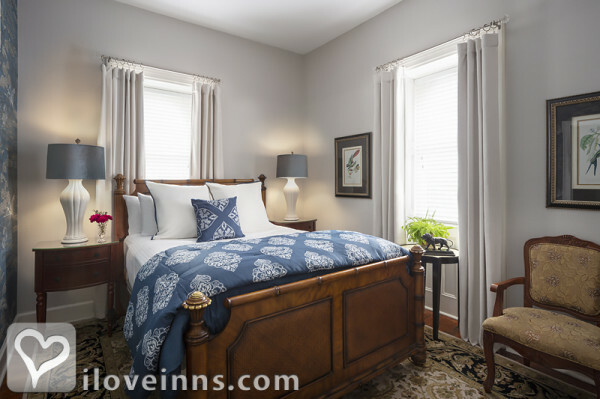 A beautiful getaway in a town with beauty and charm-just like the Inn itself! Thank you for a fabulous stay. Everythinig we could have hoped for, and more. Thank you for a wonderful stay! Absolutely beautiful and comfortable inn with lovely staff. Thank you. Beautiful stay! Very restful and your entire team was very pleasant. The room, staff, food and hospitality are all the best I have ever experienced in a B&B anywhere in the world. Don't change a thing! This was definitely one of the highlights of my trip to Charleston and Savannah. Staying here was a unique experience - so homey - everyone was so cheerful and couldn't do enough for the guests!! If any of my firends or relatives are traveling here, I would definitely tell them not to miss staying here!! We loved the Inn for our Grandmother/Mother/Daughter weekend. The staff helped make it so special with all the wonderful amenities - loved the courtyard flowers and organic herbs. 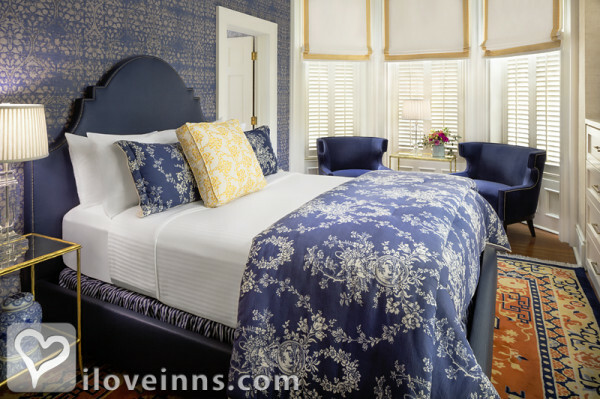 Peaceful and elegant are the best words to describe the Inn. Gracious living in a gorgeous setting! The accommodations are lovely and the food divine, but what puts this place over the top are the owners and staff who know how to take "care" of people! 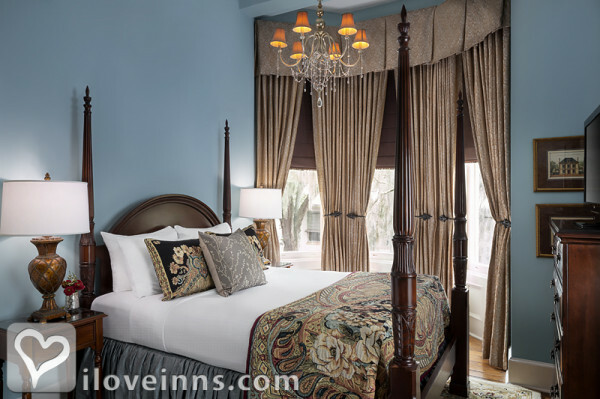 Don't miss this place - it's the heart and soul of Savannah! We loved spending part of our honeymoon trip here. The accommodations and southern hospitality were first rate. We enjoyed spending our 5th wedding anniversary at Hamilton Turner! Everyone was so nice and hospitable. The whole Inn is gorgeous and comfortable. We love it and will be back. The people here really care and it shows. They make this place as pleasant as can be. You get what you paid for...actually, you get more. This place is beautiful and the service is excellent!!!! We work, eat and play in "the Southern part of Heaven," but after this weekend, thanks to the wonderful hospitality of the Hamilton-Turner Inn staff, Savannah has really given Chapel Hill some competition! Thanks for making our 5 year anniversary so memorable!! For this cost, I would reccomend the Gastonian instead. My main complaint is the common area is crowded and not impressive and so the communal effect was off and not maximized. I found the guest services folks to be just okay, but really they can make or break your stay. I expect more and so should you for the high high cost. Great location, but beware that the rooms with two queens will feel crowded as well. 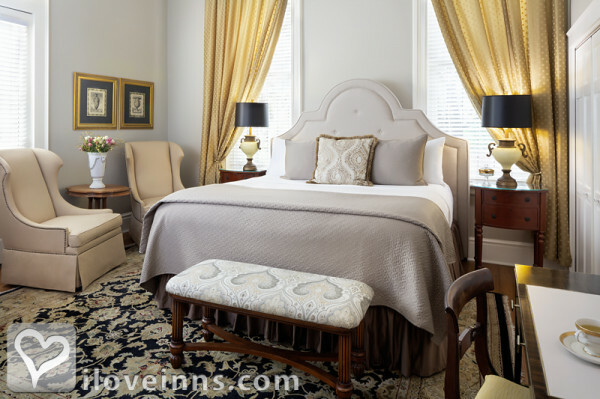 The Hamilton-Turner Inn is perfectly nestled at Lafayette Square. 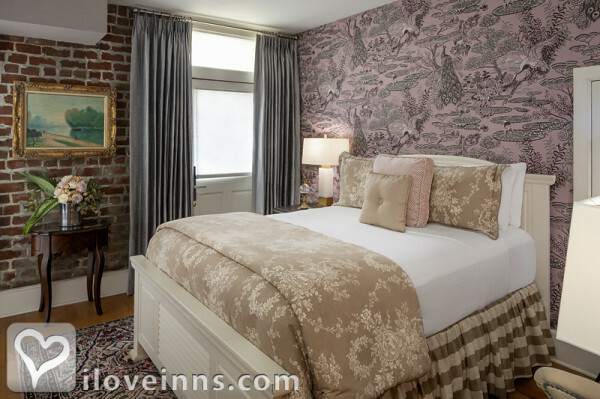 The room was cozy with a soft lavander color wall right when you walk in, awesome brick worked walls and to top it all off a huge claw foot tub for two. Nightly turn down service with some form of a sweet left for you on the bed. We LOVED our stay. The staff was OUTSTANDING. Everyone went well above and beyond to ensure the best possible stay, while we were there. There was wine in the parlor from 5:30 p.m. till around 6:30 or 7:00 p.m. A port for your pleasure after that until 10:00 p.m. The breakfast each morning was great. A lot of restaurants and historical sites with in walking distance. HIGHLY RECCOMEND visiting and staying a few nights at the Hamilton-Turner Inn. Will definately return. Oh yeah they have 4 or 5 rooms that are pet friendly. New York Times, Southern Living, Esquire, U.S. Airways, Food Network, Midnight in the Garden of Good and Evil.